Cory and Aaron had been keeping it secret, but now the secret is out! The founding hosts of Videogame BANG! were featured as guests on the top independent gaming podcast in the USA, Gamertag Radio. Founder and co-host of GTR Danny Pena was gracious enough to invite the Bang Bros to CBS Studios in LA for a round table discussion about Day 1 at E3. 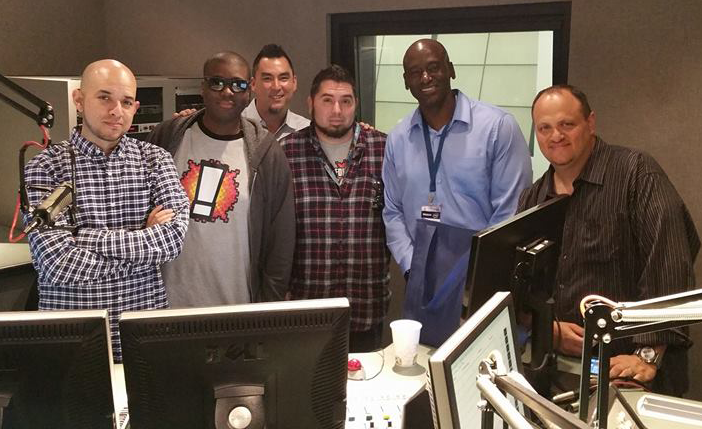 With over 10 years in the industry and Danny being an inductee to the Podcasting Hall of Fame, Gamertag Radio has always been a show that VGB has looked up to. This has been an insane month for the BANG GANG! With in the last 30 days we have been guests on two of the longest running, and well established gaming podcasts in the world. A few weeks ago with Orange Lounge Radio and this week with GTR. Video game podcasters like Danny and Rob Roberts have paved the way for not only VGB but countless others. That is why the experience of working with these guys goes way beyond extra exposure and cross promotion. These crossovers are a way for VGB to learn from people who have become masters in our craft. Hope you guys enjoy the show.